The kids are finished with school and it’s a great time of year to plan an adventure in Virginia’s Blue Ridge Mountains. You’ll love taking advantage of the many things to do and opportunities for outdoor recreation, and the calendar features all kinds of fun events. Here are 25 special events to check out this June in Virginia’s Blue Ridge. 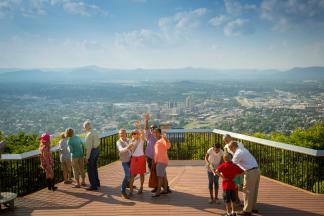 Roanoke has a vibrant Lebanese community that has played a major role in the city’s history. 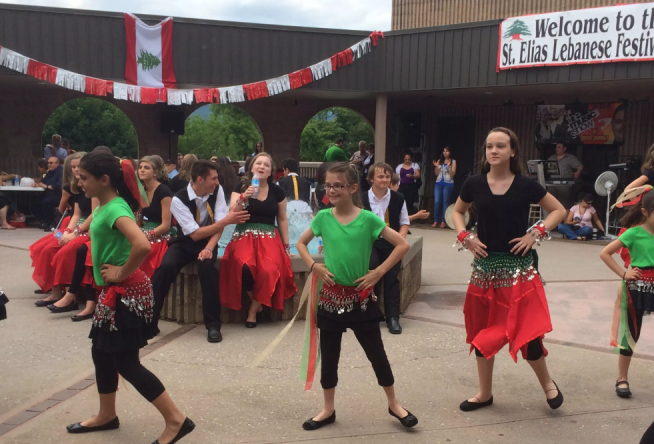 The Lebanese culture is celebrated every year at the annual Lebanese Festival at St. Elias Church, with three days of delicious food, authentic music, and performances. With its designation as an official A.T. Trail Town, Troutville is the perfect spot for the annual Troutville Trail Days outdoor festival that celebrates the Appalachian Trail and welcomes thru-hikers who are making their way through the region during this time of year. The festival includes live music, kids activities, and guided trail hikes. It will be an awesome night of iconic 90s alt-rock music as the Summerland Tour 2018 includes a stop at Dr Pepper Park in Virginia’s Blue Ridge. The concert features Everclear, Marcy Playground, and Local H.
JAKES stands for Juniors Acquiring Knowledge, Ethics, and Sportsmanship, and this free event in Franklin County is a great way to introduce your kids to a variety of outdoor activities like archery, fishing, canoeing, turkey calling, and more. Bring the family along for a Blue Ridge Day in the Town of Buchanan at the annual Fishing Carnival. Kids 15 & under will have the opportunity to participate in fishing contests, trout fishing, and casting a line in the beautiful James River. This year is the 60th annual Sidewalk Art Show, which has become one of the Commonwealth’s premier art events. Organized by the Taubman Museum of Art, this year’s show will include nearly 140 artists from around the country, plus the opportunity to enjoy the fantastic exhibits in the museum. Spend a Friday night relaxing in Longwood Park in Downtown Salem as you enjoy some of the best local bluegrass music in the area! The schedule includes performances by Blue Connection, Hanging Rock Ramblers, The New Habit Band, and Wound Tight. Be transported to the fairy woodland as the Roanoke Ballet Theatre presents the classic Shakespeare story of A Midsummer Night’s Dream. The ballet is a company of professionals and student members who perform and tour throughout the year. Get your tickets now for the popular Virginia Beer & Wine Festival at the Daleville Town Center. 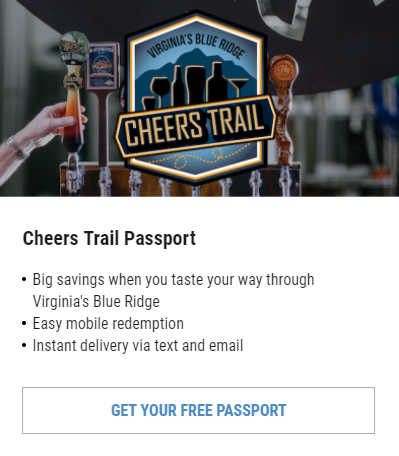 Breweries and wineries throughout Virginia will be on-hand for the event, including many local options from Virginia’s Blue Ridge! There are so many exciting things happening at Explore Park in Roanoke County! In addition to the recent opening of a new disc golf course and the development of campgrounds that will be opening soon, this summer also features the return of the Artisan Saturdays series. It’s a free event that showcases local artisans and various forms of unique crafts. Discover what makes Franklin County the Moonshine Capital of the World with this special murder mystery experience. The Hotel Roanoke & Conference Center is partnering with Franklin County Distilleries to present this interactive comedic murder mystery dinner where participants will be divided into feuding families. The event will be held June 9 & 23 and reservations are recommended. Take part in The Crooked Road’s Mountains of Music Homecoming with this special concert at Chateau Morrisette Winery on the Blue Ridge Parkway. The free show will feature live music by the Whitetop Mountain Band, plus the beautiful views and great wine you can always enjoy at Chateau Morrisette. The Lyrics on the Lake Songwriters Festival returns to Smith Mountain Lake for the sixth year! More than 35 writers will perform at 12 venues around the lake, showcasing the writers behind many of country music’s biggest hits and performing artists. If you’re a fan of music festivals and the bands that regularly play the festival circuit, head to the 5 Points Music Sanctuary on June 15 for a concert by The Hip Abduction. The Florida-based group is known for its blend of indie and synthetic pop sounds. The Antique Farm Days festival is a celebration of the region’s agricultural heritage and culture. It’s quite a scene as visitors will see tractor parades, lawn mower pulls, chainsaw competitions, rock crushing, and many other unique exhibits and activities. Chow down on some delicious burgers and enjoy a full evening of live music in Elmwood Park at Big Lick Burger Fest. Presented by Big Lick Entertainment, this year’s music lineup is headlined by Corey Smith. The Black Jacket Symphony always presents an amazing concert experience with the way they recreate classic albums in a live performance setting. In this Berglund Center show, the symphony will be featuring the Hotel California album by The Eagles. June 16 is an iconic day in American history, as it marks the date in 1865 of the Emancipation Proclamation and the freedom of nearly four million enslaved people. The Booker T. Washington National Monument celebrates the anniversary with gospel concerts, living history tours, and assorted children’s activities. Country music superstar Jamey Johnson makes his way to Virginia’s Blue Ridge for a concert at the Salem Civic Center on Friday, June 22! Johnson is a platinum selling artist with multiple Song of the Year awards from the Academy of Country Music and Country Music Association. More than 400 vehicles will be on display for Star City Motor Madness - one of the biggest automotive shows in the Mid-Atlantic. The Friday night portion of the event includes the opportunity to cruise Roanoke’s historic Williamson Road, and many of the cars and trucks will line the streets of Downtown Roanoke on Saturday. It’s a festive 3-day experience at the 6th annual Floyd Fandango! Located on the same festival grounds as FloydFest, Floyd Fandango also celebrates live music, great food and drinks, and outdoor adventures with an outstanding lineup of bands, trail races, and vendors. Beliveau Estate Winery presents its 10th annual Lavender Festival, which has been expanded to a two-day festival this year! There will be wine tastings, lavender-inspired foods and other products, live music, and a gorgeous setting. Can you believe this year is the 65th annual Buchanan Community Carnival?! It’s a great scene for family & friends in the charming town setting with a variety of rides and games, plus the delicious Carnival burgers, fries, and funnel cakes. For kids who have a love of animals and a love of creating art, this event at the Mill Mountain Zoo is perfect for them! Art Gone Wild is a 2-hour class where children will use animals at the zoo as the inspiration to create paintings, 3-dimensional works, and other artistic mediums to come up with special pieces. Put your nautical skills to the test at the 4th annual Roanoke Riverfest! The free event includes the Recycled Regatta as well as The Great Roanoke Duck Race as we celebrate the Roanoke River. The event is organized by the Clean Valley Council, which works to support stormwater education, litter prevention, recycling, and other ways we can help protect natural resources like the Roanoke River. Want to know what else is happening in Virginia’s Blue Ridge? Take a look at our complete Calendar of Events and sign up to receive our monthly e-newsletter. You can also check us out on Social Media and tag us in your posts by using the #BlueRidgeDay hashtag.